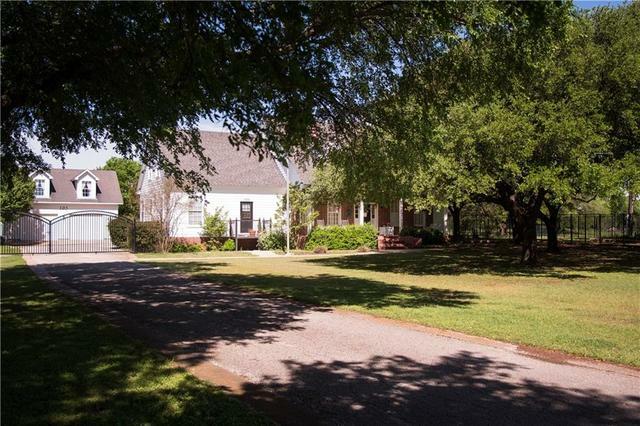 I would like more information about 105 North Oak Hollow Road. This house is AMAZING! Gorgeous Traditional-Farmhouse style house is a custom built home with tons of space. The kitchen is naturally lighted with huge windows. Wood ceiling with beams. Large master bedroom with French doors to the backyard. Huge Master bathroom with jetted tub and a separate walk-in shower. Dressing room style closet. Front and back yard covered in large shade trees. Location is everything. Close to shopping, The Square and close dining. Quiet country feel on 1.04 Acres. Directions: From Interstate Highway 35, take the Williams Dr. Exit. Head west on access road. Turn Right on River Hills. Right on Oak Hollow Road and the house will be on the left.